Below you fill find all funeral homes and cemeteries in or near Newland. Suburbs of Newland: Altamont, Beech Bottom, Chestnut Dale, Cranberry Gap, Frank, Hughes, Ingalls, Pyatte, Roaring Creek, Senia, Spear, Stamey Branch, Three Mile, Valley. Newland is also known as: Avery County / Newland town. Their current mayor is Mayor Valerie Jaynes. Zip codes in the city: 28657.
of the local funeral shops we partner with. Some of the notable people born here have been: Paul Johnson (american football coach). It was written on November 13th, 2017 that Dora Elizabeth Day (Carpenter) passed away in Newland, North Carolina. Send flowers to express your sorrow and honor Dora Elizabeth's life. It was revealed by Register Herald on November 13th, 2017 that Virginia Blanche Stafford (Johnson) passed on in Beckley, West Virginia. Ms. Stafford was 84 years old and was born in Newland, NC. Send flowers to express your sorrow and honor Virginia Blanche's life. It was noted by Statesville Landmark on October 26th, 2017 that Sam Cartner died in Newland, North Carolina. Cartner was 97 years old. Send flowers to share your condolences and honor Sam's life. It was revealed on February 23rd, 2017 that Ernest Fred Lockner perished in Newland, North Carolina. Lockner was 85 years old and was born in Unicoi Co, TN. Send flowers to express your sorrow and honor Ernest Fred's life. It was reported on April 13th, 2016 that Eleanor F Wright perished in Newland, North Carolina. Wright was 79 years old. Send flowers to share your condolences and honor Eleanor F's life. It was disclosed on February 23rd, 2016 that Patricia Anne Brock perished in Newland, North Carolina. Brock was 89 years old. Send flowers to express your sorrow and honor Patricia Anne's life. It was reported by Skagit Valley Herald on October 3rd, 2015 that Wilma Elizabeth Vance (Johnson) passed away in Mount Vernon, Washington. Ms. Vance was 90 years old and was born in Newland, NC. Send flowers to express your sympathy and honor Wilma Elizabeth's life. It was reported by Hickory Record on February 6th, 2015 that Wilma K Shook (Drum) passed away in Newland, North Carolina. Ms. Shook was 94 years old. Send flowers to express your sorrow and honor Wilma K's life. It was reported by The Herald on December 30th, 2014 that Ramona Waldhart (Ferguson) passed on in Everett, Washington. Ms. Waldhart was 84 years old and was born in Newland, NC. Send flowers to share your condolences and honor Ramona's life. It was disclosed by The McDowell News on May 17th, 2014 that Kenneth Dale Sr Presnell died in Newland, North Carolina. Presnell was 58 years old. Send flowers to share your condolences and honor Kenneth Dale Sr's life. Gov. The population was 704 at the 2000 census. Newland. The town was named for North Carolina Lt. 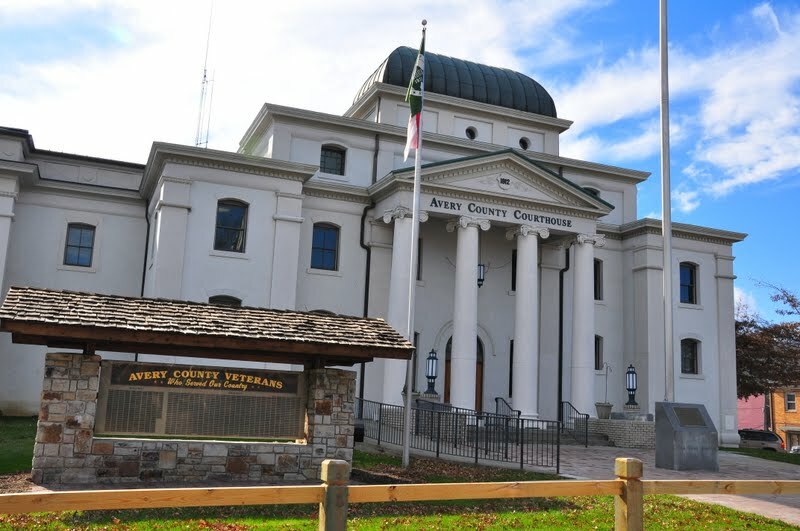 It is the county seat of Avery County, North Carolina County . Find funeral directors & Funeral Directors in Newland, NC. Read business reviews, find driving directions, and more. funeral directors on YELLOWPAGES.COM. Funerals in Newland, NC 28657 on Yahoo! Local Get Ratings & Reviews on Funerals with Photos, Maps, Driving Directions and more. Listing all funeral homes in Newland, North Carolina so you can easily send flowers to any location (same day delivery) or find any funeral service. We work with local florists and flower shops to offer same day delivery. You will find budget sympathy flowers in Newland here. Our funeral flowers are cheap in price but not in value.